I have been craving nothing but Indian food since my return from the Land-of-No-Veggies, and also needing lots of veggies and vegetarian protein. 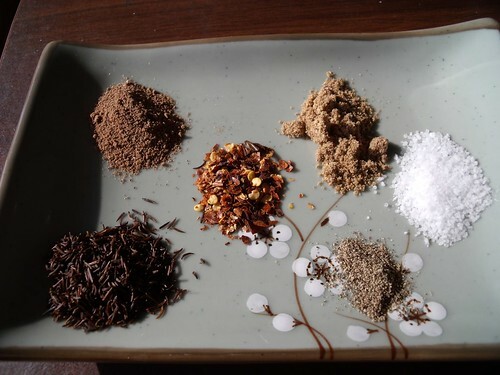 As such, I got stuck into my Indian spices in the kitchen this afternoon: coriander seed, cumin, amchur (dried & powdered mango), and dried chili flakes. 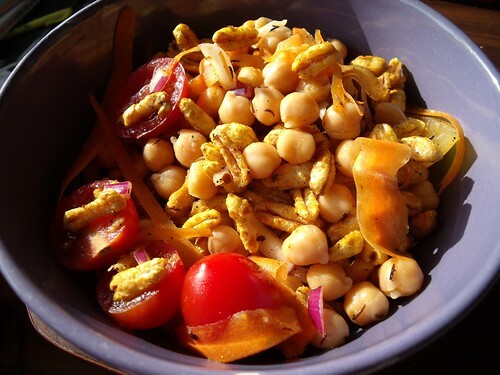 And I wanted to make a puffed kamut & chickpea (Channa) salad with Indian spices (Chaat Masala)– here, the spices seasoned the kamut puffs, and I threw in all the fresh veggies & chickpeas at the end so they wouldn’t go too soggy! So, a warning: serve this as soon as you make it, it will go soggy (and then your boyfriend won’t finish it, even after his valiant attempt…). If you’re going to be doing any variations on this, I think you should throw in some lime juice and cilantro leaves — that’s what I’ll do next time around for the extra-fresh-bite. 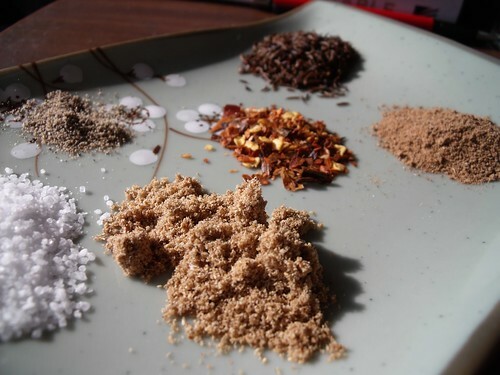 In a large pot over medium-low heat, combine the Chaat Masala Spice Mix and the coconut oil. Bring up to temperature, and let the spices toast. You will start to smell the gorgeous spice aromas after a couple of minutes. At this point, remove the pot from the heat, and stir in the puffed kamut. Stir well to cover the kamut with the spice mixture. 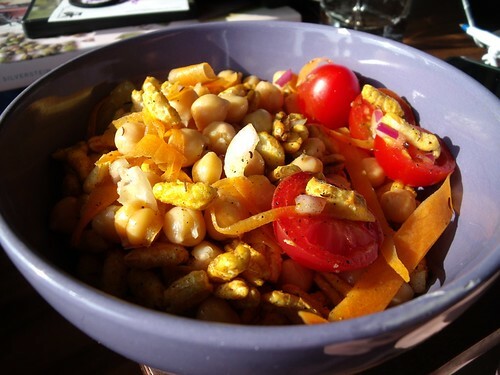 In a separate bowl, combine the wetter salad ingredients: tomatoes, carrot, red onion, chickpeas, and ginger. Just when you are ready to serve, mix the spiced kamut and the veggie/chickpea mixture together. This looks really yummy! Your photos are gorgeous. I love how you’ve arranged the spices in little piles! MMMMM,..This dish is really apart & so special too!! I can nearly smell all of the lovely aromas through my MAC! !